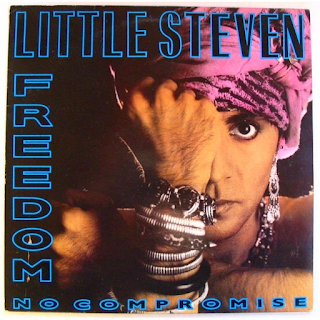 This is a much underrated and barely known protest album from Steven Van Zandt, of E Street Band fame. Against a backing of rock guitars and contemporary hip hop stylings, Van Zandt makes direct attacks on all matter of global political issues - US imperialism, colonialism, capitalism, the treatment of Native Americans, apartheid, South African government, neo-conservative prejudice, the problems of immigrants to the USA. Not the usual thing you would expect from an American, as Van Zandt certainly had a lot of issues with his country’s government at the time. 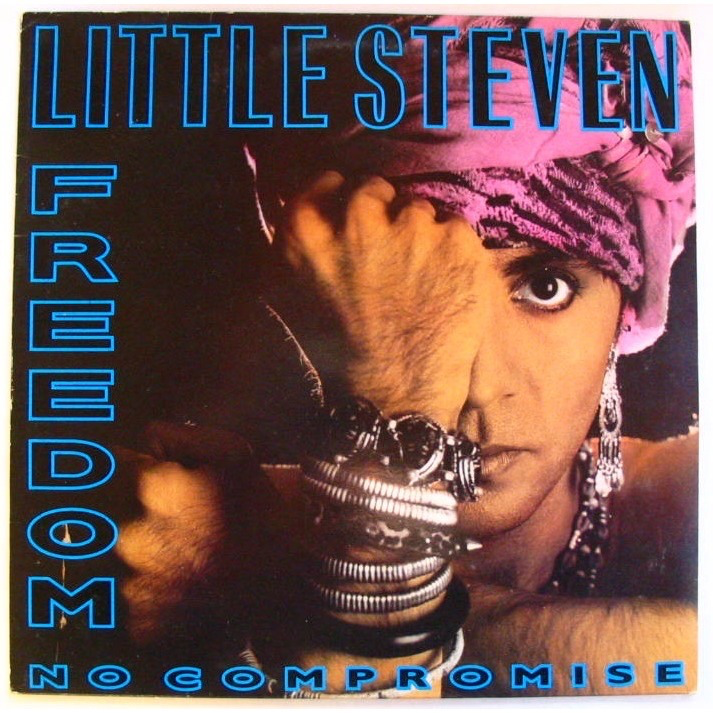 Bruce Springsteen joins him on vocal for the excellent, slighty reggae-tinged “Native American”. “Trail Of Broken Treaties” is an angry rocker, as is the anthemic closer, “Sanctuary”, which has a killer guitar riff in it. 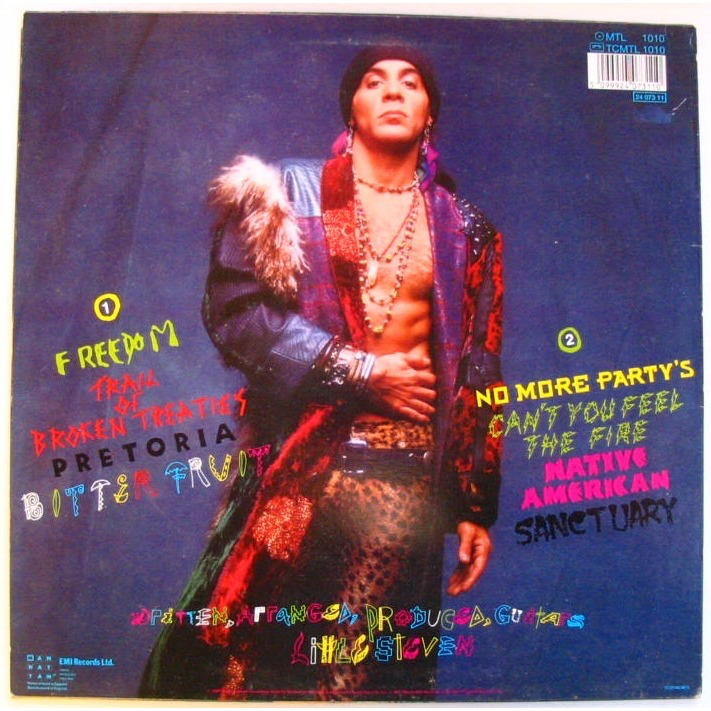 “Pretoria” is an evocative song about South Africa, with some intriguing percussion sounds, as indeed is the Latin styled “Bitter Fruit”, concerning the unfairness of third world fruit production and exploitation of workers. The most archetypal Van Zandt rocker is the storming “Can You Feel The Fire”. Van Zandt’s heart is in the right place and the points he makes are all valid ones. The music is a little of its time, a few too many drum machines utilised for my liking, but that doesn’t stop it being a good album. It seems to be a bit difficult to get hold of at the moment, so you may have to download it.